In 1896, the Liverpool and Bootle Police Orphanage was founded in 1894 to provide care for the children of officers from the two forces who had died in the course of their duties. By March of that year, 1400 out of the 1700 men comprising the two forces had undertaken to contribute to the funds of the establishment, paying a five shillings entrance fee to the scheme and a subscription of one penny each week. 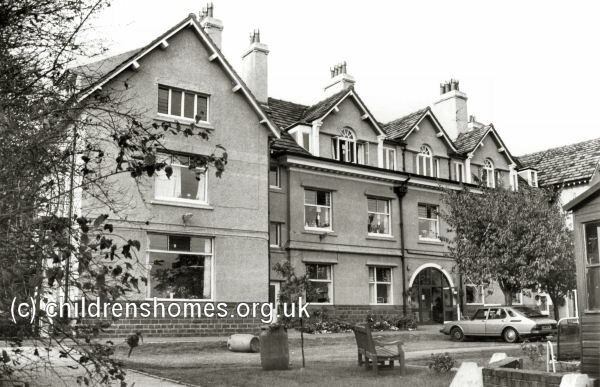 In 1896, with its coffers swelled by public contributions, the Orphanage paid the sum of £2650 for a property known as Sunny Bank (or Sunnybank), situated in six acres of grounds on Speke Road in the Woolton area of Liverpool. After the necessary conversion work had been completed, the establishment was formally opened on October 6th, 1896, by the Countess of Derby. Initially, the building could accommodate up to 30 children. The building was enlarged in 1907 and the extension opened in October of that year by the sugar manufacturer, Sir William Tate. Later known as the Liverpool City Police Orphanage, the home in 1957 and the site was taken over by the Marie Curie charity for use as a nursing home. The Orphanage buildings were demolished in about 1993. Liverpool Archives, 3rd Floor, Central Library, William Brown Street, L3 8EW. Has a few papers and plans and the Annual Report from 1956-57. No inmate records are believed to survive.